You know, sometimes you can learn a lot about a country by staying abreast of what’s going on in the news and being published on the internet. But sometimes you really need to actually live in a place before you can discover what it’s really like. Case in point is this amazingly cool business card that I found on the street early one morning while walking the dog. As a full disclaimer, I’ve never worked with these guys and know nothing about them whatsoever. 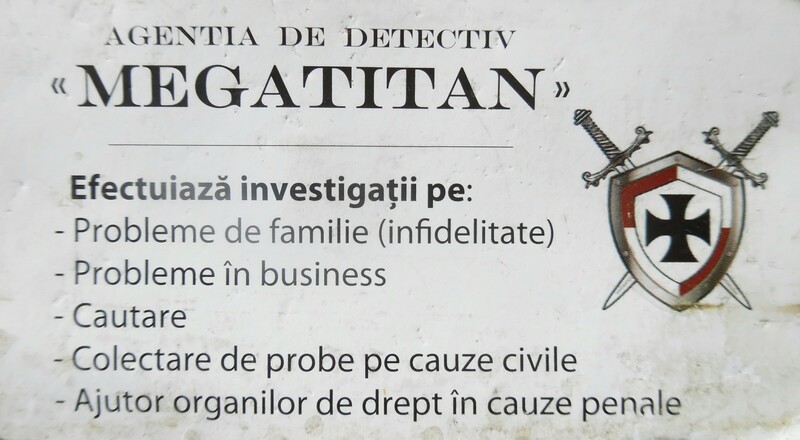 I’m just writing this story because I had no idea that private eyes even existed in Moldova. Pretty cool, eh? But to truly get an idea of why these guys are so interesting, check out their official “sait” (a transliteration of the English word “site”). Woah! I love how gambling is a “family problem”. Not to mention that problems with children can somehow be addressed by a private detective agency. And seriously, what other detective agency in the world conducts market research? Woah! 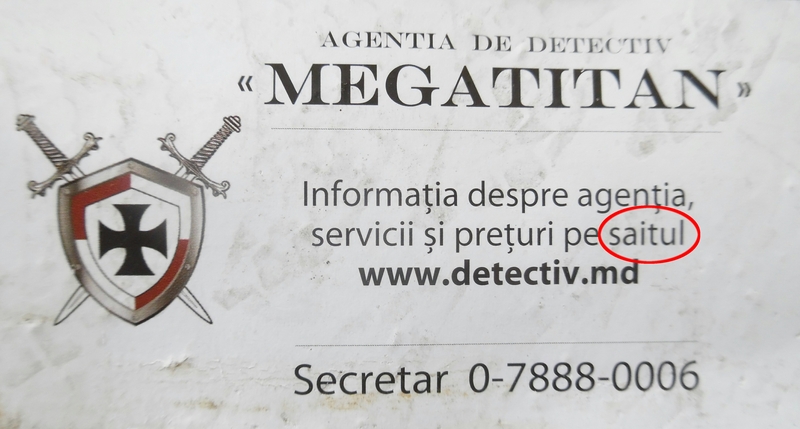 And because this is Moldova and not Romania, if you click on the “Rules” section, you’ll learn that private detectives are allowed to carry guns and use them if “a group of people attack a public or private institution” OR “to signal for help”. I swear to god I am not making that up! Apparently, you are legally allowed to fire off guns in order to call for help in Moldova, which kind of makes sense considering it took dispatchers 10 minutes to answer the phone last time I called 112 (USA: 911, UK: 999).